All that to say that when a new product is released, it takes time to fill the pipelines, but everyone is working hard on it. Promise. That’s the news. Now I’ll spend the rest of this entry talking a little about the tobacco, itself. I’ve received email from a few people wondering how best to prepare a tobacco in this form for smoking, and others asking just what the heck a plug is, and the difference between them and flakes and cakes and crumble-cakes, so here’s the quick and dirty, Reader’s Digest version. 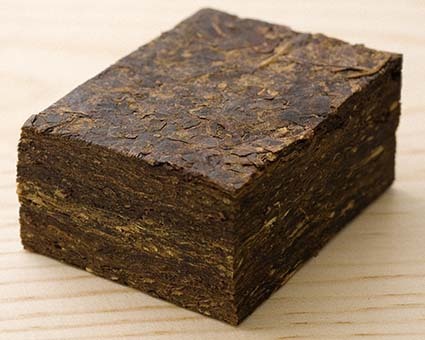 A cake or a plug, like JackKnife, is hard-pressed, block of tobacco leaves (actually threshed strips—large pieces of whole leaf with the mid-rib removed) that have been layered and pressed under many tonnes for several days to harden. In our case, eight pounds of tobacco combined and pressed in a 16″ square form, results in about a 1″ thick block. This block is then cut into bars, about 2″ wide, which can be further cut into plugs, or sliced into flakes about 1/16″ thick. These can be tumbled (ready-rubbed), lightly broken apart (broken-flake), or packed as whole slices. 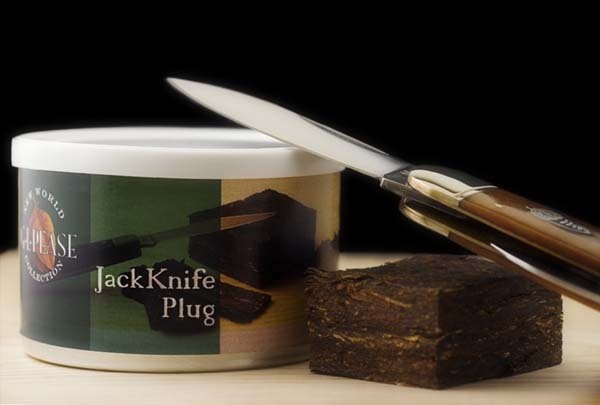 Plugs are a great form to store tobacco. They’re compact, and they hold their moisture well. However, they do require preparation before they can be smoked. I’ll get to that in a moment. Ribbon-cut or ready-rubbed tobaccos are certainly convenient, but they take more space, and are more prone to drying out quickly. Flakes are somewhere between the two. They are more compact than ribbon, but will certainly lose their moisture more quickly than a plug. Some people will fold a whole flake, or roll it into a little “cigar,” filling the bowl with the result. This produces a dense, slow-burning, long-lasting smoke, better suited to a smaller bowl. Don’t pack too tightly; as the tobacco burns, it will expand, and a tight fill will result in an impossible draw once the ember is going. Crumble-cakes are actually produced from cut leaf, rather than whole strips. This offers some of the advantages of a plug, but are somewhat easier to prepare, since all that’s needed is to break a piece off, crumble it between the fingers, and fill the pipe. I don’t find this form ideal, as the resulting tobacco particles are uneven and inconsistent; others seem to really enjoy this form. Back to plugs. What do you do with the stuff? 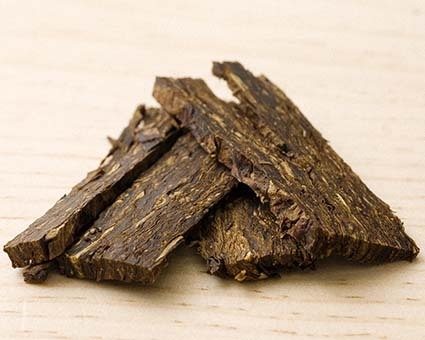 Everyone will find their own favorite way of preparing theirs, and that’s part of the beauty of tobaccos in this form. Just how differently the same tobacco can smoke and taste, depending on its cut, can be quite surprising. My favorite approach with JackKnife has been to slice it very thin, about 1/32″, and rub it completely into a fine shag. 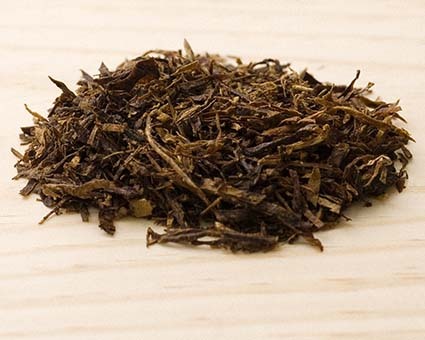 Filling the pipe carefully, not packing too tightly, results in a wonderful, cool effortless smoke, and the fine cut seems to enhance the sweetness of the virginias and bringing out the subtle, natural perfume of the dark-fired Kentucky leaf. Or, slice it about 1/16″ thick, and treat it as you would any other flake. This may be the easiest way to get started with this one. Another approach is to slice it about 1/8″-5/32″ thick, then cut and cross-cut this into small cubes. Use only gravity to fill the pipe, giving it a little tap to settle things as you go, with just the slightest thumb pressure at the top when you’re done. Light up, and enjoy a slow-burning, lingering bowl. This is actually a great form if you’re likely to be smoking outdoors in the wind. Some thoughts on cutlery may be in order. A sharp knife is a must, and preferably one with a stout, thin blade of 4″ or so. I’ve found a thin 6″ chef’s knife to be a good choice (Forschner makes one that’s quite reasonable), but so is the sunfish pattern pocket knife show in the photo above. Too small a knife makes the cutting more tricky, and too thick a blade makes it harder to control the thickness and consistency of the slices. However you slice it, and whatever you slice it with, JackKnife is fun, and a great excuse to play with knives. If you find you don’t like it one way, try another! I’ll predict there will be at least as many preferred methods for preparing and packing it as there are smokers, of the stuff. I hope to hear from all of you with your experiences. Enjoy! Update: I’ve heard from a few people, and have read on-line, that some are cutting their plugs “with the grain,” or peeling sheets off, and chopping those up. Keep in mind that the blend is layered, like a parfait. Shaving or peeling across the bar will result in something different with every smoke. The dark-fired and red virginias are on the outer layers, ad the brights form the central core. To some extent, any plug will behave this way, as they are all made in a similar fashion. JackKnife is a little different in this respect, though, because of the unique way the layers are organized. I put the brights in the core so they would retain more of their own character rather than being more completely alloyed with the rest of the blend’s components. So, slice vertically, across the grain, to get a consistent smoke from flake to flake. Then again, peeling it apart and cutting it up might be fun. A different “blend” with every bowl!